Be the first to share your favorite memory, photo or story of Donna . This memorial page is dedicated for family, friends and future generations to celebrate the life of their loved one. 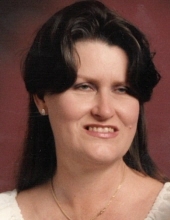 Donna Kay Vinson Smith, 67, of Petal, passed away Friday, April 12, 2019 at her home. Graveside services will be held Wednesday, April 17, 2019 at 11 a.m. at Forrest Memorial Gardens. Donna was, at different times in her life, an Antique Dealer, Security Guard, and a Healthcare Provider. She loved gardening and cooking. She also enjoyed painting and photography. Above all things, she was a devoted wife, mother, and grandmother. Her love for her family was constant and strong. She was a Christian woman who believed in the forgiveness and redemptive love of Christ and the eternal rewards of faith. She is survived by her husband, Kerry Glen Smith of Petal; one daughter, Melissa Dement (Bryan); one son, Frank Holifield (Keli); seven grandchildren, Adrienne Holifield, Franklin Holifield, Clinton Holifield, Solomon Holifield, Zachary Watson, Andrew Watson, and Heather Robertson (Collin); one great grandchild, Brantley Robertson; and one sister, Gail Stuck (Michael). To send flowers or a remembrance gift to the family of Donna Kay Vinson Smith, please visit our Tribute Store. "Email Address" would like to share the life celebration of Donna Kay Vinson Smith. Click on the "link" to go to share a favorite memory or leave a condolence message for the family.